Vitamin B14 is thought to be a combination of Vitamin B10 and Vitamin B11. It has not been isolated to a specific substance. Currently, very little is known about Vitamin B14. It was isolated from wine and originally thought to be a metabolite of xanthopterin. However, biochemist Earl R. Norris disputed that xanthopterin was actually Vitamin B14. 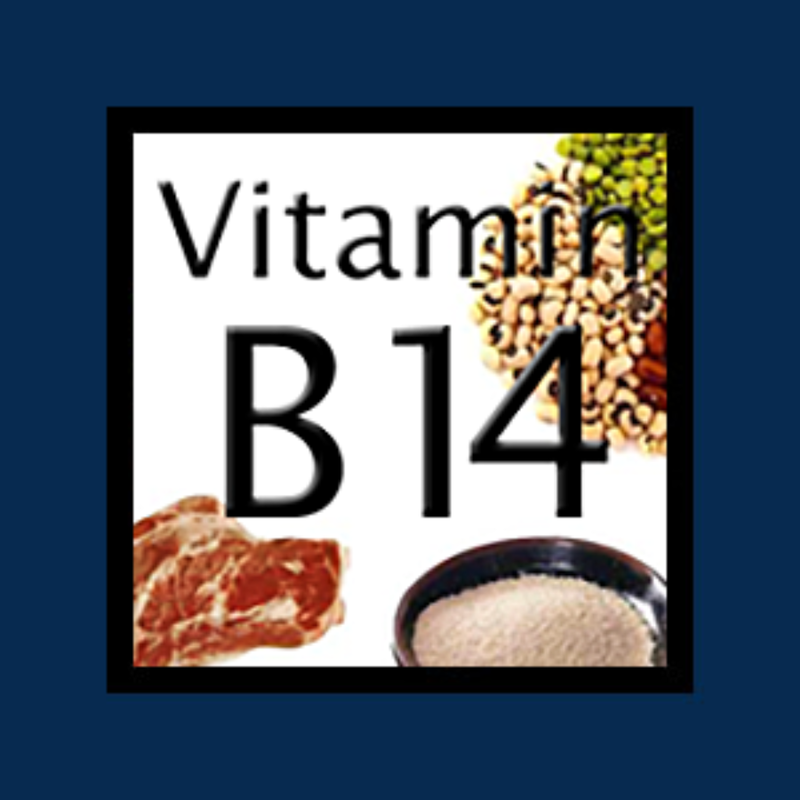 Why do you need vitamin B14? Conditions thought to be Related to Vitamin B14 Deficiency? Not available for supplementation. Vitamin B14 has been found in organ meats (liver, heart, and kidney), yeast, grains, legumes, and eggs.